A good time to begin to introduce spices into baby’s foods is around 7-8 months of age. Fresh or dried, the types of herbs and spices you may add to baby’s foods is entirely up to you. It’s a good idea to use all the spices and herbs that you would typically use when cooking meals for the whole family. While it is never recommended to add sugar or salt to baby’s food, using spices and herbs in your baby’s foods is a great way to offer interesting flavors. Parents may seldom think about adding herbs and spices to baby food but now is a good time to experiment with these add-ins. While many pediatricians suggest waiting to introduce spices and herbs into baby’s diet until the age of 8 months, incorporating these tasty add-ins earlier is possible. 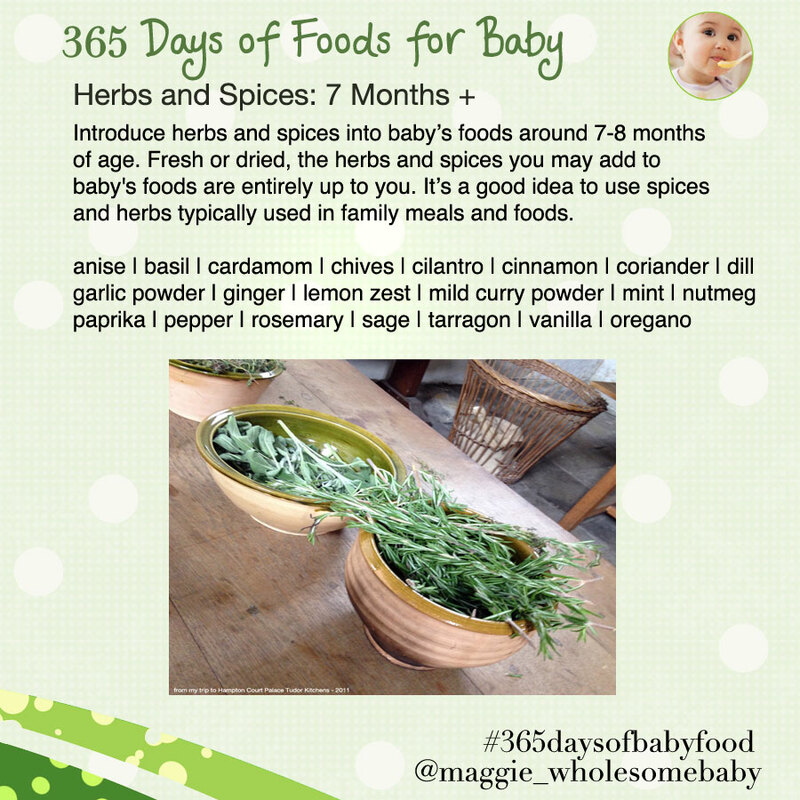 Be sure to ask your baby’s pediatrician about when it is the right time to use spices and herbs in your baby’s foods.